So here we go, off on a journey into the unknown! The launch date of Aulta Surf is finally here after more than two years of hard work. 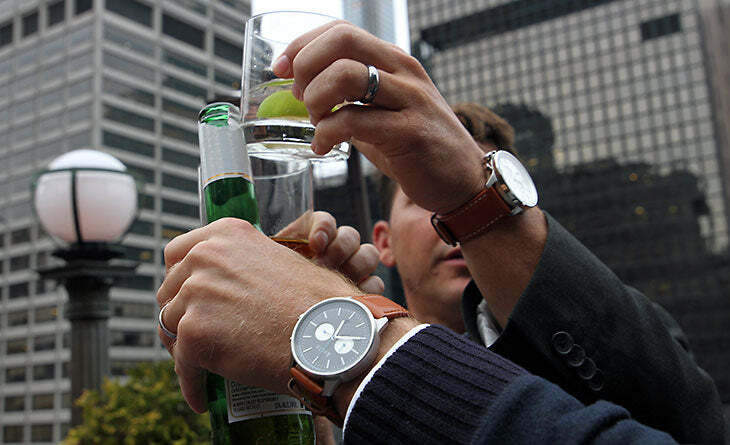 We head to New York City to meet with our partners at Think PR who have arranged a busy schedule of meetings with media to tell our brand story, showcase our product, and introduce a totally new concept to the watch, fashion and surf industry. Stepping off that plane I would be lying if I didn’t say that Marty, Abe and I felt a little vulnerable. But no matter what you do in life or how much hard work goes into something you believe in, at the end of the day it’s about being true to yourself and the lifestyle that makes you happy. It’s what drives the three of us both professionally and personally. This shared belief is the catalyst for Aulta and what brought us together as friends and business partners. Over the next two days we meet with some of the biggest publications and influential people in the fashion and lifestyle industries. It is a proud moment for the three of us to be able to share our story of how Aulta came to fruition. The meetings go very well, and now it is time for some lifestyle. 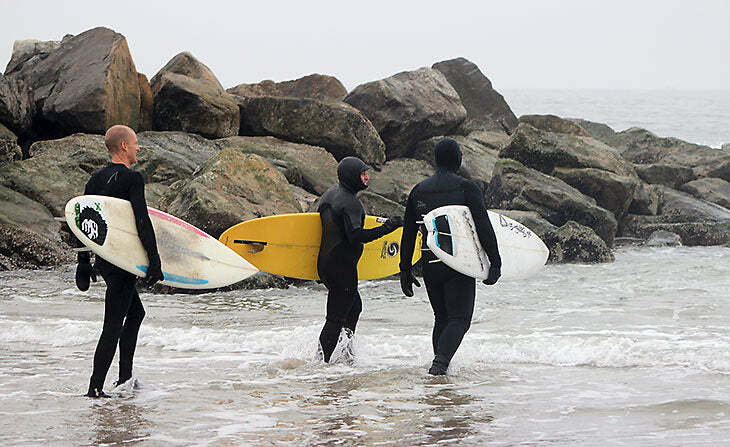 We are able to organize a meet up with Rockaway legends and St James crew Jimmy Dowd and Thomas Brookins for an unexpected surf session. We are all running around pumped up from working in the city to surfing with great friends on the same day! 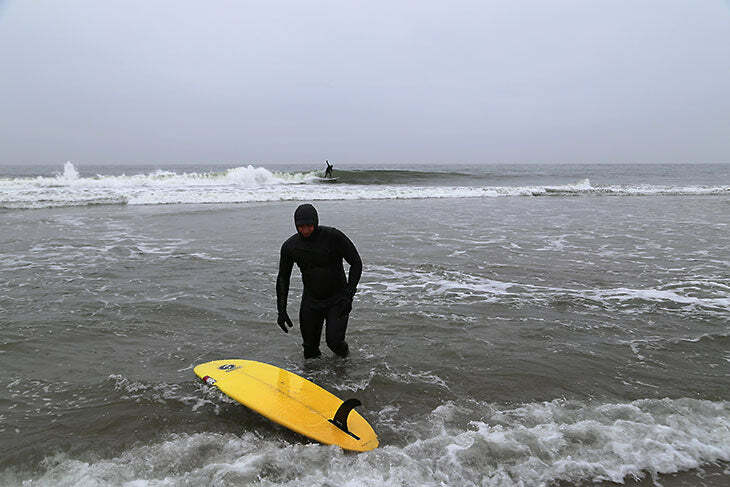 The water was 39 degrees, and Rockaway served up some really fun waves for us. You couldn’t remove our smiles with a chisel. We finish the day by toasting to an amazing trip and the addition of another great chapter to our lives. Chatting about the days surf session, telling stories and throwing a few back. Now that’s the uncompromised lifestyle I can dig!